Is Urban Living Making Us Sick? The last century, especially the last several decades, has seen a steep rise in levels of allergies, asthma and auto-immune disorders. What is interesting is that statistical analysis shows that typically these conditions are more prevalent in developed nations than in developing countries, and when families migrate from a developing country with a low incidence rate to a developed one with a high incidence rate, it only takes one generation for the conditions to present. A recent study from the University of Eastern Finland suggests that exposure to farm animals in early childhood may play an important role in the development of a healthy immune system, specifically in regards to the role of dendritic cells and cytokine production. Dendritic cells are messengers that present antigens to other cells to elicit an immunological response. Via this mechanism they regulate cytokine (messenger protein) production, adaptive immune system response, and are essential for the establishment of immunological memory. Many studies have noted that children who grow up around farm animals are less likely to develop childhood atopic diseases (like asthma and eczema). 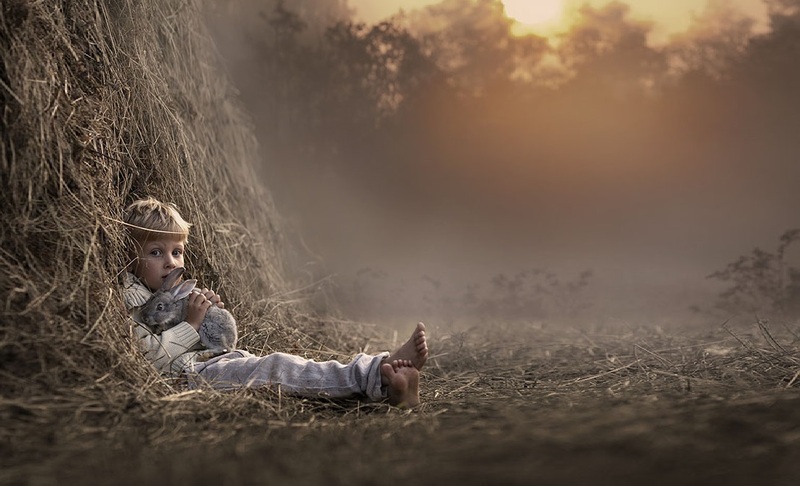 However, though a clear relationship could be found between growing up on a farm and the development of a healthy immune system, the mechanistic link between the two was unclear. This study attempted to understand the link. Heidi Kaario, MSc, in her PhD thesis investigated whether farm and pet (cat and dog) exposure affect the phenotype and functional properties of dendrictic cells along with cytokine production in peripheral blood mononuclear cells of children at the age of 4.5 years in a subpopulation of a wider study, known as the Finnish PASTURE birth cohort study. Half the children in the study were from farming families and the other half were from rural, non-farming families. The study found a lower percentage of dendritic cells in the peripheral blood mononuclear cell cultures of farm children as compared to those of non-farm children, when there was stimulation with lipopolysaccharide. The unstimulated peripheral blood mononuclear cells of farm children produced more, in particular, non-allergic Th1-associated and regulatory (non-inflammatory) cytokines than those of their non-farm counterparts. 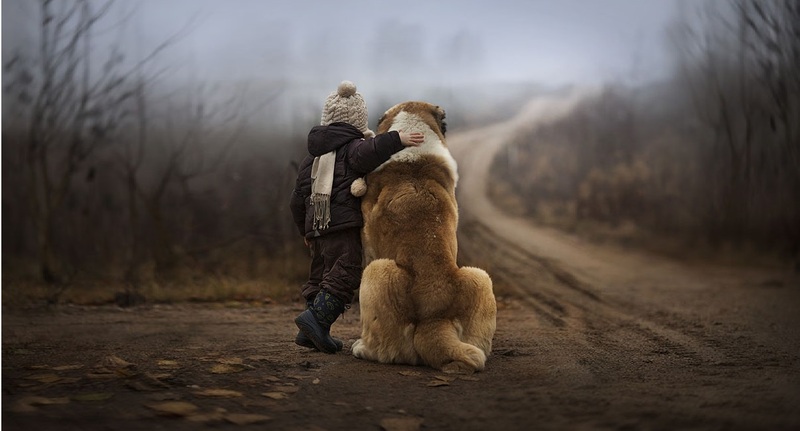 The implication is that introducing children to foreign but benign animal cells and animal-associated bacteria promotes optimal immune system regulation, making their bodies less likely to overreact to allergens, and less likely to confuse ‘self’ with ‘other’. Thus, immune system modulation guards against chronic inflammation, inappropriate or exaggerated immune response, and the development of autoimmune conditions. While this study takes us a step closer to understanding the complex mechanisms involved in the development of our immune systems, it also reinforces the idea that our concept of hygiene might be flawed and that nature, rather than a strictly scientific approach, might be the way towards a solution. In 1846 a Hungarian doctor named Ignaz Semmelweis noticed that if doctors washed their hands before delivering babies, the death rates for both mothers and infants went down. At the time Semmelweis had difficulty convincing others of his findings. He was eventually fired and ultimately condemned to a mental hospital where he himself became infected by a deadly strain of bacteria. However, though he was not acknowledged in his time, today his assertions are seen as the first step on our long and still incomplete journey towards understanding the true nature of our complex relationship with bacteria. Once we became aware that there were these miniscule entities that, though incredibly tiny, could make us very sick, a war began. We were indoctrinated to believe, as is so often the case in war, that the enemy was disgusting and evil and the only answer was, if possible, complete eradication. As the idea of hygiene gained traction, households began to run with the notion and ultimately, as we humans have a tendency to do when we discover a good thing, it seems we may have taken it too far. “Cleanliness” was soon afforded “next to Godliness” status, and by the 1980’s we had chemical laden, anti-bacterial cleaners for just about everything in the home, including our bodies. When rates of allergies and other immune conditions began to sky rocket in the 1980s David Strachan proposed the hygiene hypothesis as a possible explanation. The hygiene hypothesis suggested that the illnesses that were becoming increasingly prevalent in modern societies were a result of infection preventing hygienic practices. Strachan proposed that childhood infections helped prime the immune system and that the decline in infections was responsible for the increase in immune related disorders. However, later studies demonstrated that the amount of infections a person developed in childhood had little bearing on the development of immune related conditions. In 2003 the theory was revised as ‘The Old Friends Hypothesis’. This theory, which more and more evidence supports (including the study described above), proposes that rather than infection priming the immune system, it is actually the bacteria that humans have evolved with over time that are responsible for assisting the developing immune system by teaching it to recognise friend and foe. Because more than 90% of human evolution took place as hunters and gatherers, and in agricultural settings, deeply immersed in the completely unsterile natural world, we developed a symbiotic relationship with the bacteria in our environment. Another similar and related situation we are currently grappling with is that our overly ambitious attempts to sterilise environments, like hospitals, has resulted in the creation of superbugs. Superbugs are bacteria that have developed a resistance to the products we use to eradicate them. We are coming to understand that there will always be both good and bad bacteria, but in a healthy system the good outweigh the bad and keep them in check. So, rather than trying to eradicate bacteria, the solution is likely to work with them and create environments that promote those that work in harmony with our systems. Living in dense human environments makes hygiene a necessity in order to maintain acceptable health standards. However, what is interesting is that it seems that once again nature may hold the key to our health. Studies have found that due to the complex chemical makeup of natural antibiotics and disinfectants, bacteria are less able to develop a resistance as they evolve. The more we understand about our world the more we are coming to realize just how astoundingly amazing it is. The balance in nature is a delicate one. Because of the incredible intricate interconnection between everything in our environment it seems that every time we humans try to tip that balance in our favour we end up causing more harm than good, not only ourselves, but to the planet as a whole. Instead of trying to manipulate, supersede and outdo nature, it seems instead it would be wiser to look to nature as a teacher to connect with and learn from. Most children, if permitted, have an innate affinity with nature. This study along with many others demonstrates this is something to be encouraged. Obviously most people are not going to make such drastic change as giving up their current lifestyle to start living on a farm. However, while cats and dogs do not provide as high a level of protection as exposure to farm animals they do provide some level of protection. Also more organic farms are opening their doors to the public and providing opportunities for kids to indulge their natural inclination to interact with animals. Ultimately it seems it is time to stop being afraid of ‘germs’ and learn how to cultivate a love based, rather than fear based relationship with our miniscule friends. Early childhood exposure to farm animals and pets modifies immunological responses. The rising trends in asthma and allergic disease. “My journey has been about personal alchemy… exploring the mysteries of my soul and my environment, and learning to bring all aspects, the light and the dark, together with the transcending ingredient… love. The more I uncover and nurture the wounded aspects of my being, the more whole and grounded I feel and the more my outer world reflects the love, wonder and magic I have discovered inside”. Christina has recently published her first full length book, a memoir about her wild awakening journey entitled Jump Into the Blue, and she is currently working on the next one.